A computer rendering of the proposed Nordic Aquafarms site in Belfast. Courtesy of Nordic Aquafarms. “Companies looking to invest in Maine should be able to count on a predictable regulatory environment,” Rod Stevens told state regulators in 2015 about wind power development in Maine. “If the [Public Utilities Commission] re-opens these contracts, then it will be sending a clear signal to the business community that Maine does not negotiate in good faith. Such a message will put at risk future investment,” added Stevens, a Norridgewock businessman. That same logic applies to other types of development as well, including the land-based aquaculture facilities proposed to be built in Belfast and Bucksport. A bill under consideration in the the Legislature would change the rules for these facilities, while the regulatory review is underway. This is just the type of regulatory uncertainty that Stevens and others warned about four years ago, an uncertainty that drove a $120 million offshore wind project away from Maine. LD 620 would broaden the authority of the commissioner of the Department of Agriculture, Conservation and Forestry to revoke or refuse to grant a license to land-based aquaculture facilities. It would do so by giving the commissioner the power to refuse or revoke a license for one facility if it alone, or in combination with another land-based aquaculture facility, poses an unreasonable risk to a body of water. In essence, this change would allow one facility to be denied a license for the actions of another. This is not how permitting works. Projects are evaluated on their own and must meet local, state and federal standards. Those standards are generally written to protect the environment, such as water and air quality, to control where development happens and to further other public values. Such standards should be clear and consistently applied. Sometimes permit standards must be updated to reflect changes in scientific knowledge or changed community values, but this should be done in a way that does not harm projects that are already in progress. In the case of wind development, for example, former Gov. Paul LePage pushed the Public Utilities Commission to change the standards after companies had already agreed to terms with the state. This prompted warnings from numerous businesses that such regulatory uncertainty drives away businesses and investment. 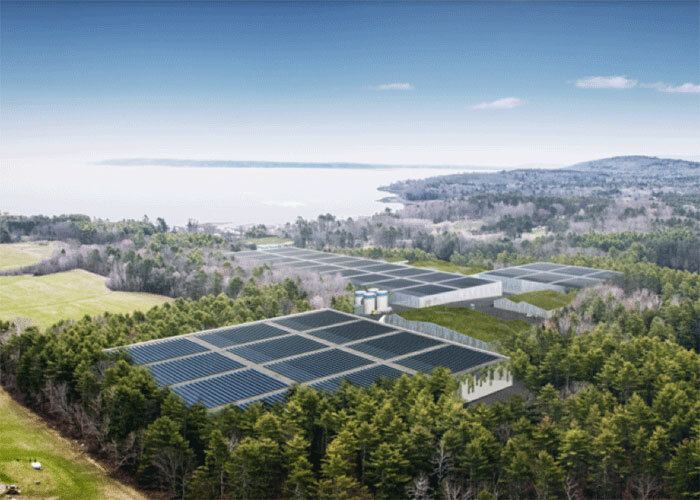 Concerns about the cumulative effects of two new land-based fish farms, which will discharge wastewater into Penobscot Bay, are understandable. But adding a new layer of review is not necessary, especially when companies have already submitted applications based on existing rules. The two aquaculture projects currently under review in Belfast and Bucksport have to receive numerous approvals — from state, federal and local agencies — before they can be built. Nordic Aquafarms, the facility proposed for Belfast, for example, must receive six state permits before it can be constructed and begin operations. Four permit applications — for water quality certification, wastewater discharge, development of the site and natural resource protection — are reviewed by the Maine Department of Environmental Protection. It must also obtain an aquaculture license from the Maine Department of Agriculture Conservation and Forestry and a permit to import and transport fish eggs from the Maine Department of Marine Fisheries. The company also needs two federal permits. One is from the Army Corps of Engineers, which coordinates with state and federal agencies to make sure that the project will not harm historic properties, wetlands, endangered species or ecosystems. It also needs a permit from the U.S. Fish and Wildlife Service to import salmon eggs. The project also needs approval from the planning board in Belfast. Together, these requirements represent a thorough evidence-based review of the many aspect of the proposed facility against transparent standards for approval. Raising standards for an aquaculture license in the midst of a project because another similar facility may be built nearby, or because some local residents object to it, obscures needed regulatory predictability and transparency.